Answer: I am certainly surprised with the comments made by Australia’s Development Minister. They are quite insulting to the leaders of the Pacific Island nations. To me as Chairman of the Pacific Leaders Forum, the comments question the integrity, wisdom and intelligence of the leaders of the Pacific Islands to judge what is good for our own people. These types of comments can damage the excellent relationships that exist between Australia and the Pacific Island countries, particularly Samoa. The buildings funded by China e.g. the courts; TATTE, hospital and central Government building have provided modern facilities which considerably raise the excellent working environment for our officials, raising the quality of work and productivity. It improves the work ethic of our people and raises the beauty of our own city, which now becomes something of a modern city. Reference has also been made by the Minister to the fact that these are very, very expensive in terms of the loans made to build them. In fact, the assistance given by China comes in both grants and concessionary loans. Concessionary loans from China mean the grant element is about 27% compared to the grant element of 35% on loans from the soft windows of the World Bank, the IDA, and the ADB. Several years ago, the leader of China met with the leaders of the Pacific in Fiji and he informed us, the members of the Pacific Island Forum having relationships with Beijing, of the availability of US$2 billion grants and US$2 billion soft loans for our developments. So there is quite a lot of assistance given on the basis of grants and it is in the concessionary grant element of the loans that we have been requesting the Government of China to reconsider for some of our projects. Question : Do you agree or disagree with the Australian Minister's comment that some of the Chinese Aid in the Pacific region is being misspent? Answer: I can speak only for Samoa, and I disagree very strongly in so far as Samoa is concerned. 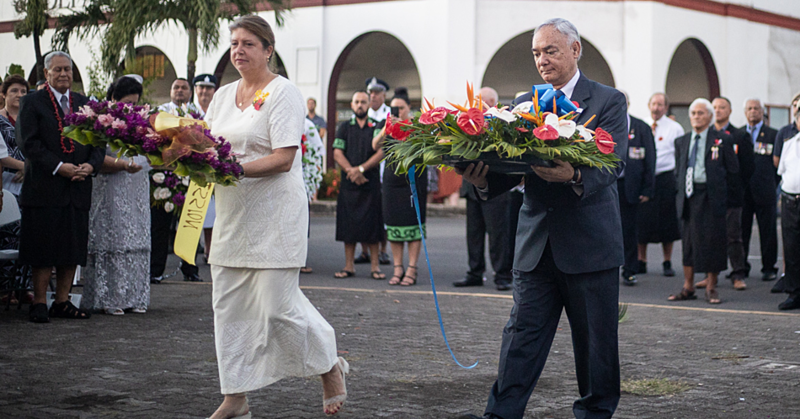 In saying that, I must also express my own appreciation for the assistance given by Australia and New Zealand to Samoa. What is given by the Chinese for the Pacific Island countries complements what is also provided by Australia and New Zealand and other sources like Japan. Answer: China requests that we recognize the One China Policy and we require that China observes our Sovereignty. This has been the basis of our relationship with the Government of China for these past 43 years. Answer: There is China, and there is also Taiwan. We recognize only China. Other Pacific Island states recognize Taiwan. You cannot recognize both. To Samoa, China is the centre of the Chinese world and China is the most powerful trading nation in the world today. Answer: I do not know whether Australia is able to finance the kind of assistance provided by China. For Samoa, China has helped to build office buildings, sports facilities and airport terminals to name a few. I think that instead of criticizing this assistance from China, Australia’s Minister of Development should be thankful to the Chinese that they have complemented the assistance by Australia and New Zealand to the Pacific Island countries. Australia and New Zealand have not been able to finance all of our needs. That’s where assistance from China has become very, very useful to all of us. I must stress again that for Samoa, all of our projects that are funded by China whether it is from grants or concessional loans; are all based on what we asked for. That means if we did not ask, China would probably never come to our assistance. In the same way, we also ask Australia to help us. Therefore, China is responding to our requests and the projects that have been built or funded by China are very well utilized by this country. Answer: Not all projects carried out in any country is 100% perfect, some may have defects. As an example, in New Zealand a major problem that the media some time ago reported on was the large number of multi-story buildings that leaked badly after completion by major and well known New Zealand contractors. In September 1989, an earthquake in California left many bridges and steel and concrete highways collapsed due to structural defects. We had one building in the Parliament complex that had some defects and the Chinese were quick to send in a maintenance team to repair them, following our request. Our Olympic styled swimming pool and Apia Park race track facilities have also been upgraded several times by the Chinese. This is a unique characteristic of the Chinese funded projects. Their maintenance policy is very flexible – but the government must go through the process of asking. Answer: China has not funded a road project for Samoa, but they have funded our airport terminal concessional loan. It is near completion now, and it is beautiful. We have also submitted the Port of the Future project at Vaiusu for their consideration. A feasibility study is completed and we propose to build in phases. The present wharf at Matautu is already heavily congested and ships in certain times of the year avoid berthing because of the dangerous swells – a threat identified by the marine engineers way back in the early 1970s. Vaiusu bay was then recommended for the wharf but our leaders at the time opted for a cheaper and quick fix solution. Now the same threat is facing us today and it is bound to get worse with the worst climate change facing the world today. China has recognized our priority and the final decision is pending. Answer: China has never made such requests. That would be contrary to the understanding between Samoa and China that they respect our Sovereignty and our Independence for our own decision making. They have respected that undertaking for over 43 years of our relationship. As I mentioned before, we have requested China to help us with our Port of the Future, and a feasibility study has already been carried out, with a final decision still pending. Answer: In terms of the loans and the unsustainability of debts, that is an issue between the country itself and the lending institution. 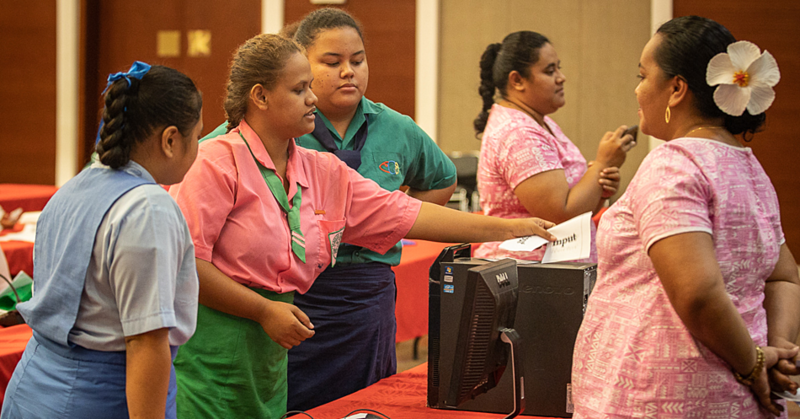 For Samoa, we have our own Debt Management Policy that we watch very, very carefully to ensure that annually we are able to meet our debt service payments. 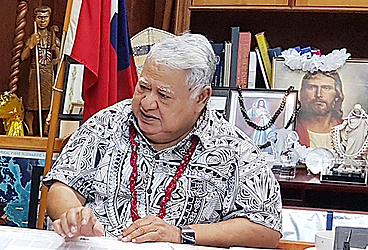 Therefore, it is up to Samoa to carefully gauge its capability to meet its debt obligations and to carefully watch the borrowings that we make from international governments and institutions. Since all our debts are concessionary, we do not have such problems. We have very strong payment capabilities every year. Very often for instance in many projects that we do, the construction period is up to 2 years and then we begin to earn revenue to help start paying the loans well, well, well before the grace period ends and the repayment of the loan and interests begin. So there are inbuilt cushions in a county’s debt level capacity, so long as they watch these debts service capacities very carefully and this is why we have institutions like the Central Bank of Samoa to carefully watch our debt obligations. Answer: What is often misunderstood is that people without the proper understanding of debt issues tend to be critical of a country’s overall indebtedness. I don’t blame them for their ignorance. That is not important because overall, indebtedness does not highlight the fact that our debts are all on concessional terms and have different payment deadlines, some 10 years, 15 years, others 20 years and over. 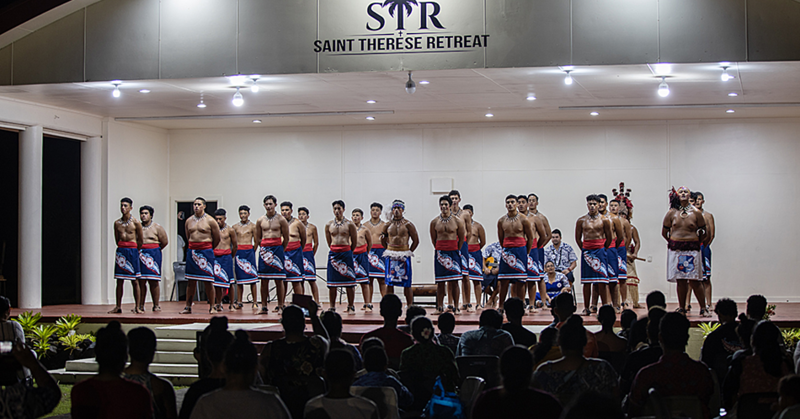 In our dealings with the Government of China, we have constantly requested for China to look at their grant element to increase the concessionality of their loans to Samoa. Answer: I am the Prime Minister, not the Minister of Finance anymore who takes care of the numbers. I do not have the figures here in front of me, but here is what I have to say. As I mentioned, we are quite comfortable with our debt service payment every year. And that covers all our loans under the sun including the World Bank, the ADB and the Chinese loans. Answer: We have already done that – choosing Beijing over Taiwan. Answer: Of course we will have instances where projects funded by China, Australia and New Zealand encounter some teething problems where we have to go back and address these issues with the donor partner. Take for instance the Parliament building complex which is ongoing now. We had the Governor General of Australia that came and delivered a speech to our country from our Parliament. I can remember this is an exception that we make to very few Heads of Governments from overseas. And she promised that Australia as its gift to Samoa for its 50th Independence Anniversary will fund our new Parliament building because the old Parliament building was in need of replacement. This was going to be funded by Australia. We were all happy and when it came down to the discussion stage, quite a lot of money was used on consultants from Australia. By the time we came to the final agreement, in came Abbott’s government and he cut overseas aid. And despite the assurance I got from PM Abbott when I spoke to him at the CHOGM meeting in Sri Lanka, and also his Foreign Minister who assured me later that there would be no problem, I finally got the response; Sorry! Samoa will have to fund part of the building. This is the kind of situation that we face all the time, but there is one thing that we’re sure of is that when the Chinese agree on a project, they pay everything that they are committed to do. Answer: Sort of, then I gave up. Answer: Well I say insulting but relationships are still continuing. It will certainly harm the excellent relationships that the Pacific Island countries share with Australia. And in that respect, I, as leader of the Government of Samoa and current Chairman of the Pacific Leaders Forum, take this opportunity to express my gratitude for the generous assistance that we get from Australia; not only on the basis of budgetary support but also direct project assistance. So thank you, on behalf of our people and the Pacific leaders, to the leadership in Australia. Answer: Well, I have met her many times you know, and she’s very nice. I found her to be a very friendly person to talk to and this is why I was surprised when she expressed those unwarranted comments. Answer: This is why the Forum Leader’s meetings every year are very, very important because this is where differences are patched up. Answer: Oh absolutely, if you will remember, the most serious one we had was between the Forum Leaders and Fiji, when Frank Bainimarama took over as dictator. With the passage of time, eventually, the differences were patched up. And today, Frank is one of my best friends.